Do you by this mean that License mobility for office 365 for SPLA partners is allowed, also in virtual envos? License mobility and Office 365 are two separate programs. License Mobility allows certain applications (with software assurance) to be migrated into a service providers datacenter. Reason this is important for SPLA partners is they can host it in a multitenant hardware infrastructure; which reduces license costs, and provides a similar Office 365 type offering. Could you answer me a specific scenario, just so I can make sure I understand this? Hi Richard. No, in a shared environment you cannot have customer owned licenses (outside of license mobility) even it’s just Office. but hosting the office 365 together within an VM (VDI) not shared so no RDS will be legal? Sorry for the delay. I have been traveling this week. I am not completely sure I understand your question. Office 365 in short is Microsoft hosted, not partner hosted. You can offer a similar solution under SPLA. Similar but not exact. Office is the biggest differentiator in my opinion. Office is expensive under SPLA with no signs of going cheaper. VDI will never be allowed under SPLA unless your customer purchases VDA licenses via volume licensing and you host it for them in a 100% dedicated environment. Scenario just mentioned is not SPLA, but volume licensing in which your customer must purchase. No, you cannot purchase on their behalf either (unless you are an outsourcer…more on that later). Still it is strange. when a client will hire a few servers and make it their workstation with an VDA license, then if the client has their own office 365 then the company is not compliant? but i cannot validate or enforce this. perhaps the office license in spla as required? Hi SPLA Man, Excellent blog, i’ve learnt a lot from you and I hope to learn much more. I hope you can help with my query, we have installed office web apps on a server, but it is accessed on a read only basis by our users. Do I still need to allocate Office SALs for each users accessing the apps? Even if it is only “Read Only”? Hi Francis. Thank you. Yes. Office Web apps requires Office. Do they need Office or will an open source Office work? Office is expensive to host. Office Components is also available. Merry Christmas and Happy Holiday Season to you. Can you clarify one of the points above. I understand that Office 365 ProPlus cannot be hosted via RDP or any other method in a shared environment. What about in a dedicated environment? Here is the scenario, does this work in your opinion? Again, thank you for taking the time on this blog to answer these questions. Hello! My apologies for the delayed response. You have it correct. The end user would need to designate 1 of their 5 copies of Office (from Office 365) and you would need to dedicate it out for that customer only. To install, you would need to use 1 copy of volume licensing media of Office. O365 bits do not work in a server environment. Ugh. The customer was able to install from O365 as per nov 2014 changes. Is anything changed regarding the licensing? We provide SPLA for RDS SAL and 2008 windows server licenses. Everything is installed on a dedicated server that we provide. Are we in compliance? What licenses are we missing? Hi Tommy, sure as long as everything is dedicated to that customer. Office does not have mobility rights. Hi splaman, would the same apply as Brett described on a shared hardware environment with dedicated virtual machines Also is the same scenario possible with Office 365 w/ProPlus on dedicated Azure virtual machines that are managed by the hosting provider ie not subcribed by the customer? Hi Mark, no what you just described is license mobility. Office does not have mobility rights. BUT yes, it is possible through Azure. Just don’t shoot the messenger. Send me an email and I can provide further information. Hope this helps. Thanks for reading. It’s not a SPLA model Per se. Just allows the provider to resell MS solutions. It does compliment SPLA though. Client wants to move Exchange and Lync functionality to O365, but wants to remain on RDS server on our multi-tenant hosting platform. * Client will purchase 0365 Business Essentials to get Exchange and Lync functionality. * They will Purchase Windows and RDS CALs through our SPLA agreement. 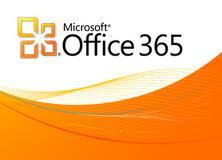 * They will purchase Office 2013 Pro Plus CALs through our SPLA agreement. They will run the Office on RDS server and access Lync and Exchange running on MS platform. Is this legit? Thank you! Thank you for the kind words. Shoot me over an email and we can review it. Want to make sure I am reading this correctly.